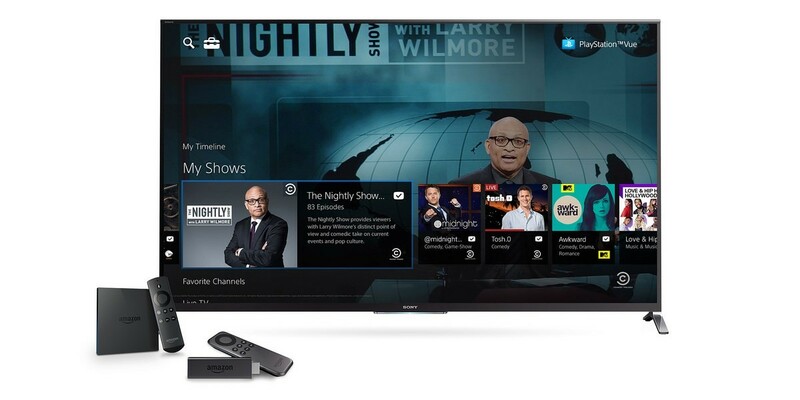 Sony has announced that its PlayStation Vue streaming TV service is now available on Amazon Fire TV and Fire TV Stick. Oddly, even after becoming available on seven devices, Sony’s service still hasn’t made it to the company’s own PlayStation TV set-top box, which launched in the US last October. It also hasn’t arrived on Android devices yet. Sony says it will bring Chromecast support to Vue soon, for what that’s worth. PlayStation Vue launched in March with several networks including CBS, Fox, ABC and NBC Universal. It’s now available in New York, Chicago, Philadelphia, Los Angeles, San Francisco, Dallas, San Francisco Bay Area, and Miami. With subscriptions starting at $49.99 and increased device support, Vue faces competition from Sling TV and Comcast’s new $15 Stream service. However, if it’s slow to expand nationwide and launch on Android, it risks losing ground to its rivals’ cheaper offerings.